HATE LEAVING YOUR PETS ALONE OVERNIGHT?? If your pet hates to stay alone, we may be able to arrange an overnight stay. We can schedule a sitter to stay in your home with your pet from aproximately 9pm-ish to 6 am-ish. You must provide clean bed and linen, home must be safe and secure. (limited, book VERY early). Our sitters will do normal pet care for the night and morning. 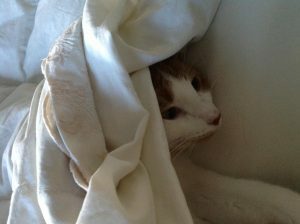 All pets will be fed, litterboxes scooped, bathroom breaks and lots of playtime, cuddles and kisses – all night long!! Prices depend on number of pets, travel, etc. Please call our office for all prices. Sign up NOW, call our office at 603-888-8088 or Go to Professional Pet Sitting Etc. Website and login or click on “New Client” to contact us to sign up your beloved pets for our valuable Overnight Pet Care Service. Daily scooping of pet waste is a must for healthy and happy pets. If it is a chore that you just hate doing or do not have time to do, please have us do it for you. 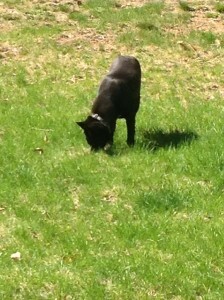 We can schedule a time to clean your yard of pet waste, while we are pet sitting, on a weekly basis or once in a while. As an add on services while we are doing a Daily Mid Day Visit – Prices depend on number of pets and time needed. Please call our office for all prices. If we are going to your home for ONLY this service – Prices depend on number of pets, time needed, travel, etc. Please call our office for all prices. Sign up NOW, call our office at 603-888-8088 or Go to Professional Pet Sitting Etc. Website and login or click on “New Client” to contact us to sign up your beloved dog for our valuable Pooper Scooping service. Are you too tired to play with your full of energy feline at the end of your work day? Is your Kitty a bit overweight from lack of exercise? Daily exercise and scooping of litterboxes is a must for healthy and happy kitties. If it is a chore that you just hate doing or do not have time to do, please have us do it for you. We can come Monday – Friday or seven days a week and scoop your litter box for you, give fresh food, water and some loving fun attention to your kitties while you are at work, home or vacation. Veterinarians recommend daily exercise and litter boxes scooped once per day, ideally twice per day. Clean litter boxes may help prevent elimination problems around your home. No more litter box duty for you, let us do it for you. Daily exercise for your kitties can help them burn off excess energy, help them sleep through the night (are they waking you up), helps keep their joints limber, helps them to lose weight (just like us), helps keep their hearts healthy. We can play with their favorite toys, we can even brush them if we have time. Prices depend on number of pets, time needed, travel time, etc. Please call our office for all prices. Sign up NOW, call our office at 603-888-8088 or Go to Professional Pet Sitting Etc. Website and login or click on “New Client” to contact us to sign up your beloved kitties for our valuable Litterbox Maintenance service. Prices, depending on number of pets, time needed, travel, etc. Please call our office for all prices. The ultimate gift of love for your pet. Most requested Service. All pets need a break during our long work days, double shifts, unexpected or planned overtime. Pets can only go for so long without needing to go out. It can be agonizing for a grown pet to even think of having an accident inside. This service is especially needed for puppies and elderly pets (as for any pet) that cannot go for more than a few hours without needing to be relieved. If you work or are away from home 6 hours or more per day, give your pets the ultimate gift of love and call us for Mid-Day Let Out. A trained and qualified Professional Pet Sitter will let your pet out to go to the bathroom, get some fresh air, stretch and let off some anxiety, play with toys or play ball, have some treats and always get lots of TLC and personal attention during the day while you are away. Our Mid Day Service is just for the dogs who need some extra loving and bathroom breaks during your busy schedule. We will not be caring for other pets in the home or bringing in your mail/newspapers because you will be there every day. If you need extra help with pooper scooping or litterbox scooping, we do have added services if you wish for us to do that at mid day. We will come visit your Dog once a day every Monday through Friday for much love and potty breaks during the school year. This package was made for the TEACHER school schedule and for those who work in that industry. We can schedule you for the complete school year with the summer and all vacations off. Please just give us the school calendar at the beginning and we will schedule you accordingly. School vacations of Complete weeks only will not be charged as long as we know the school calendar at the beginning of the year. THIS IS OUR BIG DADDY SERVICE with the most savings! Your savings for this package is comparable to FIVE FREE VISITS per month and over $2000 for the year!! Your savings for this package is comparable to FIVE FREE VISITS per month and 1000 for the year!! Your savings for this package is comparable to FOUR FREE VISITS per month. This service starts with TWO mid day visits per day and goes down to ONE per day when your puppy is older. Sign up NOW, call our office at 603-888-8088 or Go to Professional Pet Sitting Etc. Website and login or click on “New Client” to contact us to sign up your beloved dog for our valuable dog walking service. Client requested!! These Package Plans are to give your pet a break in the middle of your work shift. We designed these packages to give you, our constant client a discount & save money for Monday through Friday service every week and sign up for 6 months to 1 year at a time. This also helps to give our pet sitters regular schedules. They can only do so many visits in a day. This helps to maximize their time. The ultimate gift of love for your pet. Most requested Service. All pets need a break during our long work days, double shifts, unexpected or planned overtime. This is essential for puppies and their small bladders can only go for so long without needing to go out. If you work or are away from home 6 hours or more per day, give your pets the ultimate gift of love and call us for Mid-Day Let Out. WE CAN PROVIDE THIS SERVICE FOR FIRST AND SECOND SHIFTS. A trained and qualified Professional Pet Sitter will let your pet out to go to the bathroom, get some fresh air, stretch and let off some anxiety, play with toys or play ball, have some treats and always get lots of TLC and personal attention during the day while you are away. A Mid Day Visit is just for that special dog(s) who need some extra loving and bathroom breaks during your busy schedule. We will not be caring for other pets in the home or bringing in your mail/newspapers because you will be there every day. If you need extra help with pooper scooping or litter box scooping, we do have added services if you wish for us to do that at mid day. Sign up Now. 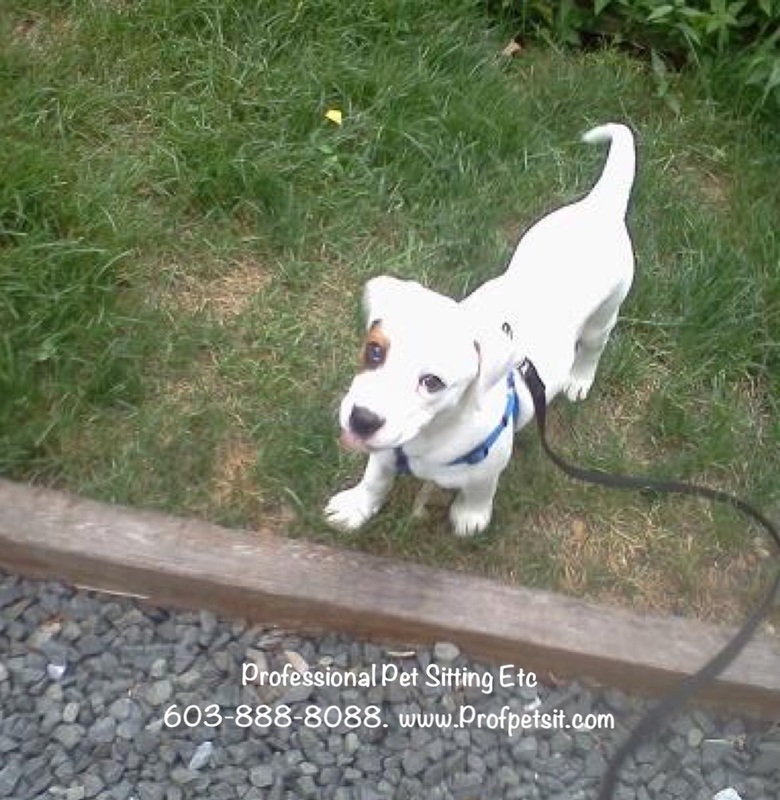 Call 603-888-8088 or Go to Professional Pet Sitting Etc. Website and login or click on “New Client” to contact us to sign your puppy up for this much needed service. let your puppy out to go to the bathroom. Job Openings for Pet Sitting & Dog Walking – Professional Pet Sitting Etc. 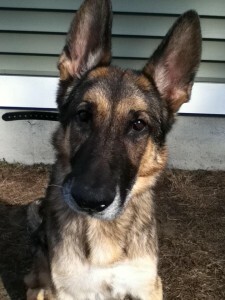 We are GROWING and adding many pet sitters from Nashua to Concord. To apply, follow directions At the end. Possibly taking care of other pets like rabbits, birds, guinea pigs, fish, etc. We have quite a few people who work full time and work for us too. a few pet sitters who work for us and work full time, work 3rd shift, leaving them open for all times for pet sitting – am, mid, pm. However, this is not for everyone. You will have to be able to move around your sleep time. You must think about times you may sleep late, if you have pet sitting visits and another job. The animals MUST come first and your other job second. Will I know my schedule ahead of time? This is not a “I will try it” job. Please do not waste our time as well as yours if you are not going to take this seriously. Most of our 30+ sitters on staff have been with us for 3-14 years!! You would be responsible for whatever came into the town you live in and surrounding towns. Every one is on a Team. Your Team is responsible for covering all areas in your Team. Call our office (888-8088) and leave a message with your full name, phone number where you can be reached between 9-12pm, Mon – Thurs, where you live and that you heard the employment information recording. If you are amazing and followed all steps, you will be invited to orientation! ONLY SERIOUS COMMITTED ANIMAL LOVERS APPLY. Dorinne Whynott, Owner of Professional Pet Sitting Etc.